In July, the Air Force will test three light attack aircraft as it considers its replacement plans for the A-10 Warthog. The Warthog — known officially as the Fairchild Republic A-10 Thunderbolt II — entered service in 1977 and has become something of a legend for its extraordinary firepower and durability. However, despite its notable successes supporting troops on the ground in Iraq and Afghanistan, the Air Force has been trying to retire the plane for years. Top service officials have cited the age of the platform — the last A-10 was produced in 1984 — and its rising maintenance costs as prime motivations for retirement, but some critics say that the Air Force simply prefers gleaming, high-tech fighter jets to the less glamorous workhorses that provide ground sport. The troubled and wildly over-budget F-35 Lightning is supposed to replace the A-10 in the close air support role, but many critics say the technologically advanced aircraft isn’t suited for the relatively low-tech job. Close air support requires planes that fly “low and slow” and that can remain over the battlefield for hours, something the high-tech F-35 can’t do very well. Given the F-35’s shortcomings, the Air Force is considering supplementing the plane with a relatively inexpensive light attack aircraft. In March, the Air Force issued an “invitation to participate” to the defense industry for the evaluation of such aircraft, referred to as OA-X, with an emphasis on low-cost options that can be used off the shelf — that is, without the endless developmental delays that have plagued the F-35 and many other weapons systems. 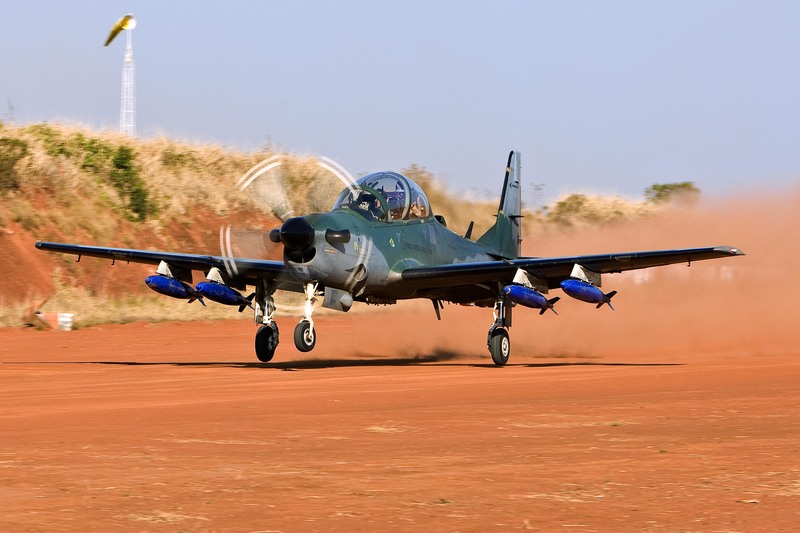 The turboprop Super Tucano was developed as a trainer and light attack platform by Brazil’s Embraer in the 1980s. It is currently in use in several Latin American air forces, and was recently acquired by the Afghan military. The Super Tucano costs about $10 million per aircraft, though the price could be higher for a more advanced version. While the relatively low price is certainly a draw for the Air Force, the operating cost of $500 per hour may be even more appealing. By comparison, the F-35 costs more than $40,000 an hour to operate. The Wolverine is based on the Texan II trainer that is widely used by the U.S. Air Force. The familiarity of the plane is attractive, since it would simplify maintenance and training. 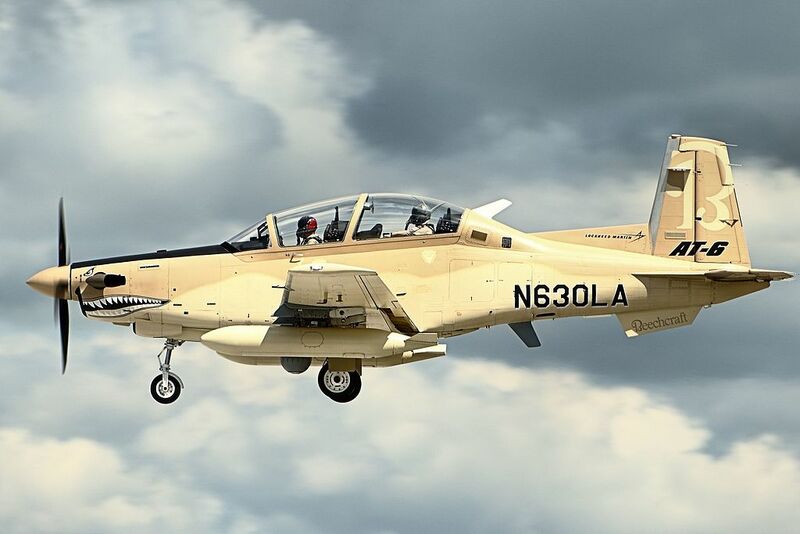 While the plane is similar in design, capability and cost to the Super Tucano, it lacks a track record in the field as an attack platform. The Iraq Air Force has considered buying the plane to use in combat, but the purchase appears to be in limbo. 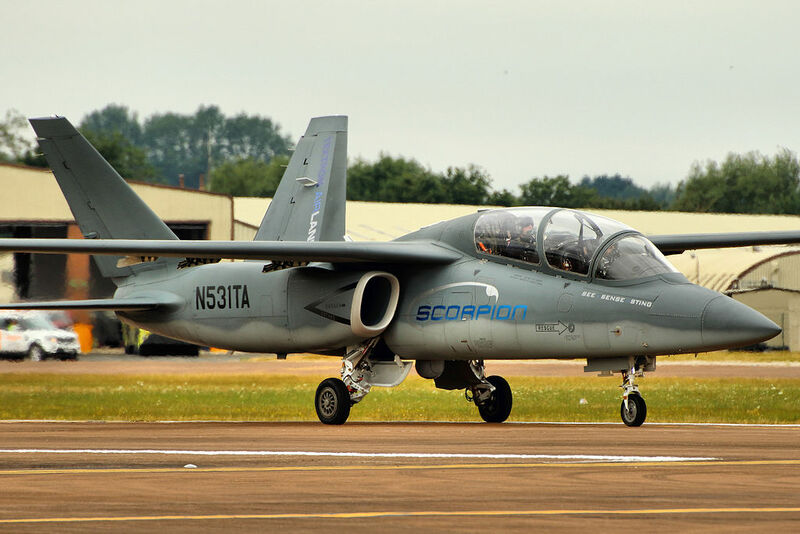 The Scorpion was developed in secret in Wichita, Kansas, in 2012-2013 by a team of engineers from Textron, Cessna and Bell Helicopter. The goal was to create the most affordable attack jet in the world, and many experts say the project has been a success. However, Textron has yet to sell any jets, and only two have been produced. The price is expected to be below $20 million per aircraft.